key when duplicates can’t be tolerated. FIFO queues provide all the capabilities as Standard queues and improves upon and complements the standard queue. FIFO queues support message groups that allow multiple ordered message groups within a single queue. SQS APIs provide deduplication functionality that prevents message producer from sending duplicates. Message deduplication ID is the token used for deduplication of sent messages. If a message with a particular message deduplication ID is sent successfully, any messages sent with the same message deduplication ID are accepted successfully but aren’t delivered during the 5-minute deduplication interval. However, messages with different message group ID values might be sent and received out of order. Every message must be associated with a message group ID, without which the action fails. ECS eliminates the need to install, operate, and scale the cluster management infrastructure. ECS helps schedule the placement of containers across the cluster based on the resource needs and availability requirements. ECS allows integration of your own custom scheduler or third-party schedulers to meet business or application specific requirements. Applications deployed on ECS must be architected to run in docker containers, which is a standardized unit of software development, containing everything that the software application needs to run: code, runtime, system tools, system libraries, etc. Containers are created from a read-only template called an image. Images are typically built from a Dockerfile, and stored in a registry from which they can be downloaded and run on your container instances. ECS downloads the container images from the specified registry, and runs those images on the container instances within your cluster. Task definition is a text file in JSON format that describes one or more containers that form your application. A task is the instantiation of a task definition on a container instance within the cluster. After a task definition is created for the application within ECS, you can specify the number of tasks that will run on the cluster. ECS Service helps to run and maintain a specified number of instances of a task definition simultaneously. 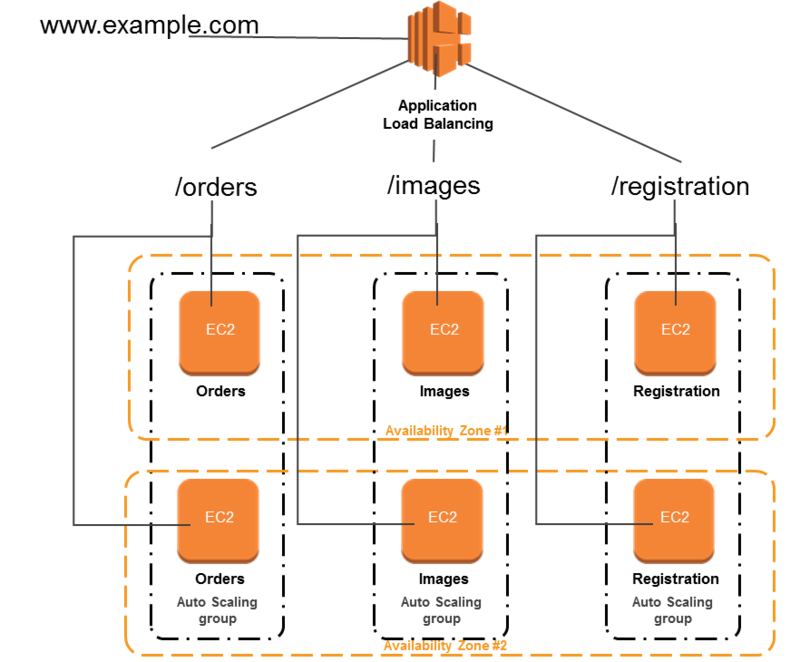 ECS helps in having a more fine-grained control for custom application architectures. Elastic Beanstalk is ideal to leverage the benefits of containers but just want the simplicity of deploying applications from development to production by uploading a container image. Elastic Beanstalk is more of an application management platform that helps customers easily deploy and scale web applications and services. With Elastic Beanstalk, specify container images to be deployed, with the CPU & memory requirements, port mappings and container links. Elastic Beanstalk abstracts the finer details and automatically handles all the details such as provisioning an ECS cluster, balancing load, auto-scaling, monitoring, and placing the containers across the cluster. EC2 Container Service is a highly scalable Docker container management service that allows running and managing distributed applications in Docker containers. AWS Lambda is an event-driven task compute service that runs code (Lambda functions) in response to “events” from event sources like SES, SNS, DynamoDB & Kinesis Streams, CloudWatch etc. You need a solution to distribute traffic evenly across all of the containers for a task running on Amazon ECS. Your task definitions define dynamic host port mapping for your containers. What AWS feature provides this functionally? Application Load Balancers support dynamic host port mapping. CloudFront custom origins support dynamic host port mapping. All Elastic Load Balancing instances support dynamic host port mapping. Classic Load Balancers support dynamic host port mapping. Your security team requires each Amazon ECS task to have an IAM policy that limits the task’s privileges to only those required for its use of AWS services. How can you achieve this? An Application Load Balancer is a load balancing option for the ELB service that operates at the layer 7 (application layer) and allows defining routing rules based on content across multiple services or containers running on one or more EC2 instances. Support for Path-based routing, where listener rules can be configured to forward requests based on the URL in the request. This enables structuring application as smaller services, and route requests to the correct service based on the content of the URL. Support for routing requests to multiple services on a single EC2 instance by registering the instance using multiple ports. Support for containerized applications. 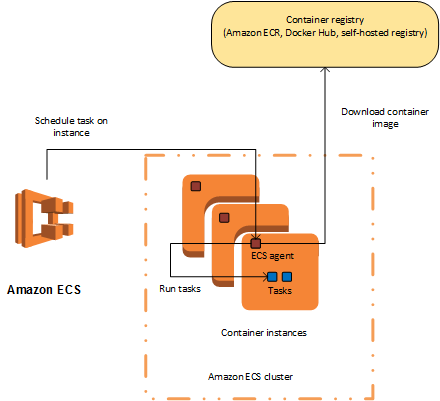 EC2 Container Service (ECS) can select an unused port when scheduling a task and register the task with a target group using this port, enabling efficient use of the clusters. Support for monitoring the health of each service independently, as health checks are defined at the target group level and many CloudWatch metrics are reported at the target group level. Attaching a target group to an Auto Scaling group enables you to scale each service dynamically based on demand. supports SSL termination, to decrypt the request on ALB before sending it to the underlying targets. automatically scales its request handling capacity in response to incoming application traffic. provides High Availability, by allowing you to specify more than one AZ and distribution of incoming traffic across multiple AZs. supports Security Groups to control the traffic allowed to and from the load balancer. ALB supports SSL Termination for HTTPS listener, which helps to offload the work of encryption and decryption so that the targets can focus on their main work. HTTPS listener supports exactly one SSL server certificate on the listener. 128 requests can be sent in parallel using one HTTP/2 connection. ALB converts these to individual HTTP/1.1 requests and distributes them across the healthy targets in the target group using the round robin routing algorithm. HTTP/2 uses front-end connections more efficiently resulting in fewer connections between clients and the load balancer. Each listener has a default rule, and can optionally define additional rules. Each rule consists of a priority, action, optional host condition, and optional path condition. Action – Each rule action has a type and a target group. Currently, the only supported type is forward, which forwards requests to the target group. You can change the target group for a rule at any time. If the URL in a request matches the path pattern in a listener rule exactly, the request is routed using that rule. Support for host-based routing, where rules can be configured for the listener to forward requests based on the host field in the HTTP header. You are designing an application which requires websockets support, to exchange real-time messages with end-users without the end users having to request (or poll) the server for an update? Which ELB option should you choose? Elastic Load Balancing supports two types of load balancers: Application Load Balancers and Classic Load Balancers. 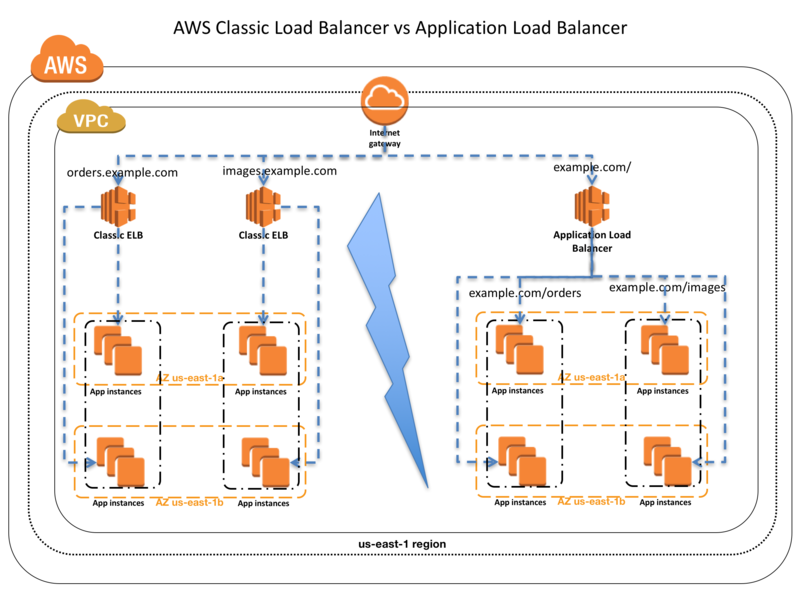 While there is some overlap in the features, AWS does not maintain feature parity between the two types of load balancers. Content below lists down the feature comparison for both. 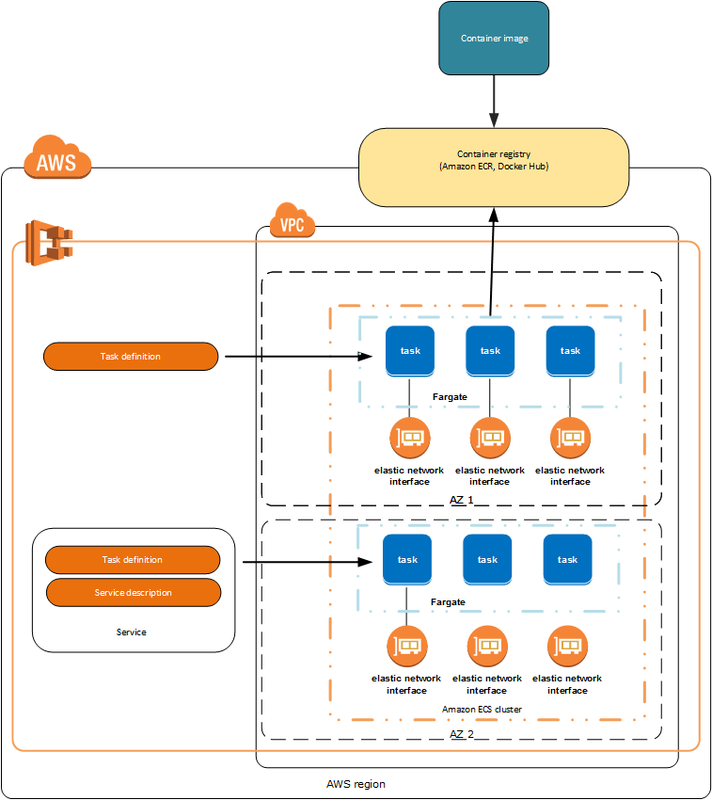 Application Load Balancer is ideal for microservices or container-based architectures where there is a need to route traffic to multiple services or load balance across multiple ports on the same EC2 instance. Both Classic Load Balancer and ALB support SSL Termination to decrypt requests from clients before sending them to targets and hence reducing the load. SSL certificate must be installed on the load balancer. Back-end Server Authentication enables authentication of the instances. Load balancer communicates with an instance only if the public key that the instance presents to the load balancer matches a public key in the authentication policy for the load balancer. Cross-zone Load Balancing help distribute incoming requests evenly across all instances in its enabled AZs. By default, Load Balancer will evenly distribute requests evenly across its enabled AZs, irrespective of the instances it hosts. Host-based routing use host conditions to define rules that forward requests to different target groups based on the host name in the host header. This enables ALB to support multiple domains using a single load balancer. Path-based routing use path conditions to define rules that forward requests to different target groups based on the URL in the request. Each path condition has one path pattern. If the URL in a request matches the path pattern in a listener rule exactly, the request is routed using that rule. Only ALB supports Host-based & Path-based routing. Only ALB supports Dynamic Port Mapping with ECS, which allows two containers of a service to run on a single server on dynamic ports that ALB automatically detects and reconfigures itself. Only ALB supports Request Tracing to track HTTP requests from clients to targets or other services. API Gateway handles all of the tasks involved in accepting and processing up to hundreds of thousands of concurrent API calls, including traffic management, authorization and access control, monitoring, and API version management. API Gateway has no minimum fees or startup costs and charges only for the API calls received and the amount of data transferred out. 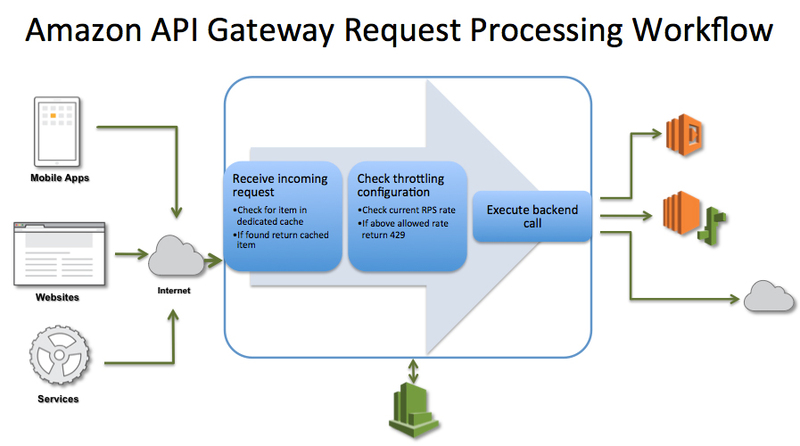 API Gateway acts as a proxy to the configured backend operations. API Gateway endpoints are always public to the Internet and does not run within an VPC. Proxy requests to backend operations also need to be publicly accessible on the Internet. automatically meters traffic to the APIs and and lets you extract utilization data for each API key. automatically protects the backend systems from distributed denial-of-service (DDoS) attacks, whether attacked with counterfeit requests (Layer 7) or SYN floods (Layer 3). helps improve the performance of the APIs and the latency end users experience by caching the output of API calls to avoid calling the backend every time. provides with backend performance metrics covering API calls, latency data and error rates. allows multiple API versions and multiple stages (development, staging, production etc.) for each version simultaneously so that existing applications can continue to call previous versions after new API versions are published. Throttling ensures that API traffic is controlled to help the backend services maintain performance and availability. If caching is not enabled and throttling limits have not been applied, then all requests pass through to the backend service until the account level throttling limits are reached. API Gateway does not arbitrarily limit or throttle invocations to the backend operations and all requests that are not intercepted by throttling and caching settings are sent to your backend operations. Serverless computing allows applications and services to be built and run without thinking about servers. With serverless computing, application still runs on servers, but all the server management is done by AWS. Lambda lets you run code without provisioning or managing servers, where you pay only for the compute time when the code is running. Lambda performs all the operational and administrative activities on your behalf, including capacity provisioning, monitoring fleet health, applying security patches to the underlying compute resources, deploying code, running a web service front end, and monitoring and logging the code. Lambda provides easy scaling and high availability to the code without additional effort on your part. Lambda is designed to process events within milliseconds. Latency will be higher immediately after a Lambda function is created, updated, or if it has not been used recently. Lambda is designed to use replication and redundancy to provide high availability for both the service and the Lambda functions it operates. Lambda stores code in S3 and encrypts it at rest and performs additional integrity checks while the code is in use. All calls made to AWS Lambda must complete execution within 300 seconds. Default timeout is 3 seconds. Timeout can be set the timeout to any value between 1 and 300 seconds. AWS Step Functions can help coordinate a series of Lambda functions in a specific order. Multiple Lambda functions can be invoked sequentially, passing the output of one to the other, and/or in parallel, while the state is being maintain by Step Functions. Each Lambda function receives 500MB of non-persistent disk space in its own /tmp directory. TCP port 25 traffic is also blocked as an anti-spam measure. For sensitive information, for e.g. passwords, AWS recommends using client-side encryption using AWS Key Management Service and store the resulting values as ciphertext in your environment variable. Each AWS Lambda function has a single, current version of the code and there is no versioning of the same function. Versioning can be implemented using Aliases. For ordered event sources, for e.g. DynamoDB Streams and Kinesis streams, that Lambda polls, it will continue attempting execution in the event of a developer code error until the data expires. When AWS Lambda executes the Lambda function, it takes care of provisioning and managing resources needed to run the Lambda function. Execution Context is a temporary runtime environment that initializes any external dependencies of the Lambda function code, for e.g. database connections or HTTP endpoints. Lambda manages Execution Context creations and deletion, there is no AWS Lambda API to manage Execution Context. Lambda function code should be stateless, and ensure there is no affinity between the code and the underlying compute infrastructure. 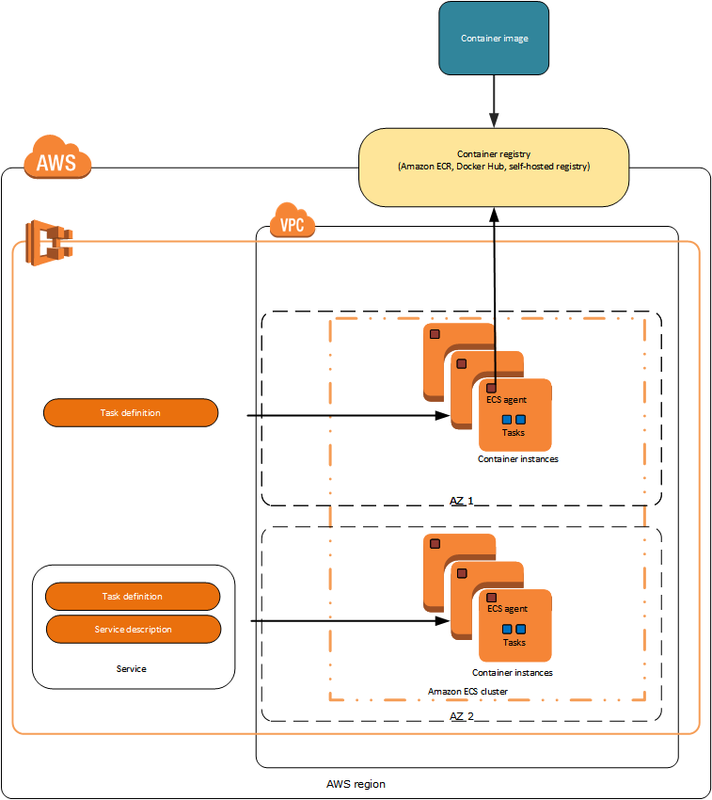 Instantiate AWS clients outside the scope of the handler to take advantage of connection re-use. Make sure you have set +rx permissions on your files in the uploaded ZIP to ensure Lambda can execute code on your behalf. Lower costs and improve performance by minimizing the use of startup code not directly related to processing the current event. Use the built-in CloudWatch monitoring of your Lambda functions to view and optimize request latencies. Delete old Lambda functions that you are no longer using. Viewer Request – event occurs when an end user or a device on the Internet makes an HTTP(S) request to CloudFront, and the request arrives at the edge location closest to that user. Origin Response – event occurs when the CloudFront server at the edge receives a response from your backend origin webserver. Your API Gateway deployment is throttling your requests. Your AWS API Gateway Deployment is bottlenecking on request (de)serialization. You used Consistent Read requests on DynamoDB and are experiencing semaphore lock. Application deployment management strategies such as rolling deployments and A/B. 4.1 Determine appropriate use of multi-Availability Zone versus multi-region architectures. NOTE – Refer to AWS Certified Developer – Associate June 2018 Exam for latest Developer Associate Exam learning path. 1.1 Identify and recognize cloud architecture considerations, such as fundamental components and effective designs. Identify the appropriate techniques to code a cloud solution. Recognize and implement secure procedures for optimum cloud deployment and maintenance. Demonstrate ability to implement the right architecture for development, testing, and staging environments. NOTE: I have just marked the topics inline with the AWS Exam Blue Print. So be sure to check the same, as it is updated regularly and go through Whitepapers, FAQs and Re-Invent videos. Did not purchase the AWS Practice exams, as the questions are available all around. But if you want to check the format, it might be useful.